Caring for a loved one who suffers from dementia is demanding. It often seems like a losing battle too. One thing that caregivers often fail to do is to consider things from the dementia sufferer’s perspective. That’s not to say that it’s easy. Erratic behaviour, miscommunication and other everyday occurrences can quickly erode the patience of just about anyone. 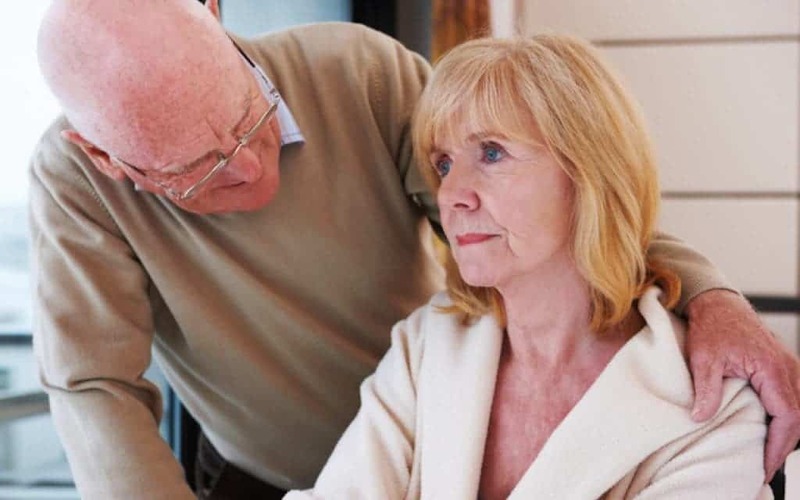 Instead of responding to these and other challenges based solely on outward signs, you should make a conscious effort to put yourself in the shoes of the person who is suffering from dementia. This simple switch in perspective can dramatically improve your loved one’s quality of life and make your job much easier too. It’s easy to start defining a loved one based on his or her dementia. That’s particularly true in cases of advanced dementia, when it feels like nearly every interaction is coloured by the person’s illness. However, it’s crucial to remember that dementia is just one aspect of your loved one’s personality. The same personality traits that were always present are generally still there. By pushing past the dementia and focusing on the person below, you will have an easier time seeing life from your loved one’s perspective. Like many caregivers, you may find yourself dwelling on the capabilities and abilities that have diminished since your loved one developed dementia. There is no benefit in doing this, and you should try to switch your way of thinking. Regardless of the severity of your loved one’s illness, he or she still has strengths. There are still positive things on which you can focus, and that is what you should try to do. This is as much for your loved one’s benefit as your own. Instead of thinking, “He used to know how to tie his shoes,” try thinking, “He is still great at drawing!” When you make this switch in thinking, you’re better able to enter your loved one’s world. It’s often tempting to take the reins whenever a decision needs to be made regarding your loved one. Whether a decision is major or minor, make a point of including him or her in the process. Think of it this way: How would you like it if people made important decisions for you without your input? Remember that your loved one must still care about what happens in his or her life. Although involving your loved one in the decision making process may make it more stressful, it’s the right thing to do. Although dementia has surely had an effect on how your loved one behaves, it likely hasn’t completely transformed his or her personality. Many times, caregivers view their loved ones as completely different people. This makes it more difficult to read subtle behavioural cues. It’s another example of why you shouldn’t let dementia define your loved one. There is now a “new normal” when it comes to your loved one’s personality, but he or she will still feel and experience the full range of emotions. Learn to spot different emotions in order to respond appropriately. Many times, it feels like as long as a dementia sufferer is safe, everything is as good as it can be. When you step inside the mind of a dementia sufferer, however, you’ll quickly see that things like contentment and happiness are equally crucial. From time to time, consider the current circumstances and image being the person with dementia. Would you be happy? What changes could be made to make you happier? Don’t assume that your loved one is content just because he or she isn’t expressing dissatisfaction. Think about how you feel when you’re around someone who is clearly upset or very anxious. To some degree, you’re apt to start feeling the same way. The behaviour of others affects healthy people’s moods, and it affects dementia sufferers’ moods as well. If you were suffering from dementia, how would you want those around you to behave? As stressful as it can be to be a caregiver, try to remember that your overall mood often has a profound impact on your loved one. Because you don’t also suffer from dementia, you may feel like there’s no way to understand how your loved one feels. That’s not strictly true, however. All of us have moments or periods of time where we’ve felt lost, confused and anxious. Such emotions and feelings are quite common for dementia sufferers, so a great way to view life from your loved one’s perspective is by recalling such instances in your own life. After remembering a moment or period of time where you felt lost and confused, consider what could have made you feel better. Sure, a concrete solution might have worked, but perhaps it just wasn’t possible. What could another person have said or done to help? By performing this exercise, you will be able to develop more empathy for your loved one. In turn, you’ll probably have a lot more patience. This will benefit your loved one in many ways. You might even consider talking about your experience with your loved one to demonstrate that he or she is not alone. As with caring for someone with any kind of illness, there will always be ups and downs when providing care for a person who suffers from dementia. It’s easy to become overwhelmed and to forget that the dementia sufferer is still a multifaceted person who isn’t completely defined by his or her illness. Considering your loved one’s point of view is an excellent way to ensure that you are providing the best care possible. In addition to producing many benefits for your loved one, this way of thinking can make your role as caregiver easier to handle. In the end, your loved one’s quality of life will improve, and you will both be much happier.